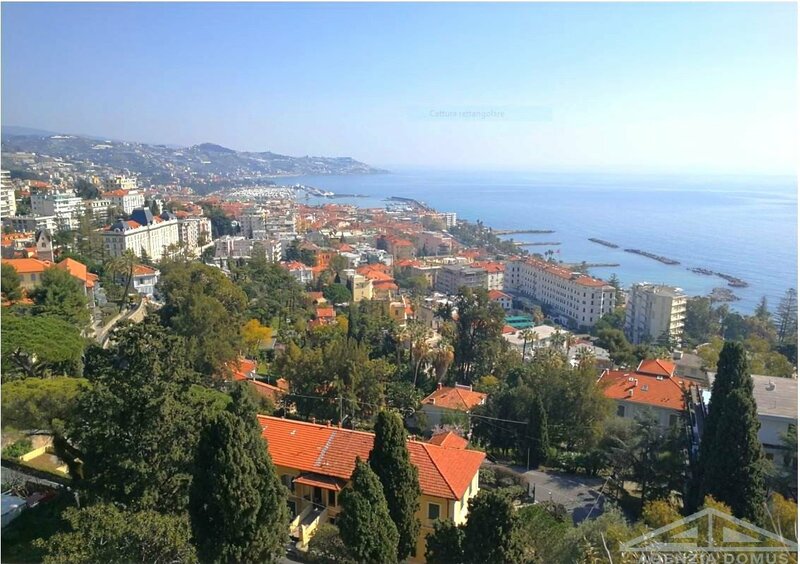 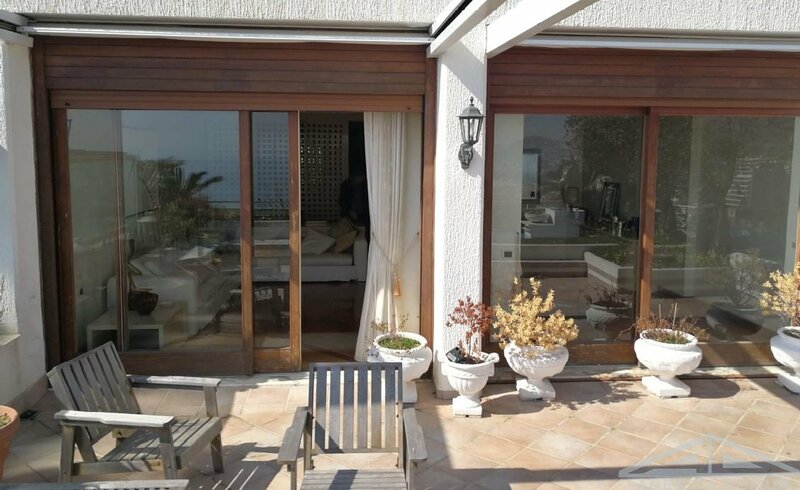 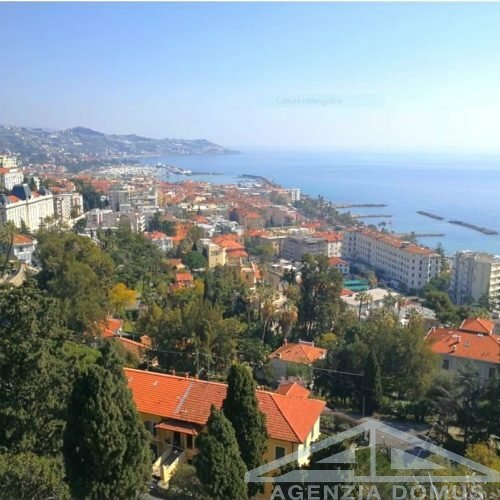 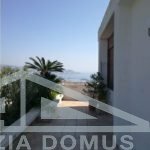 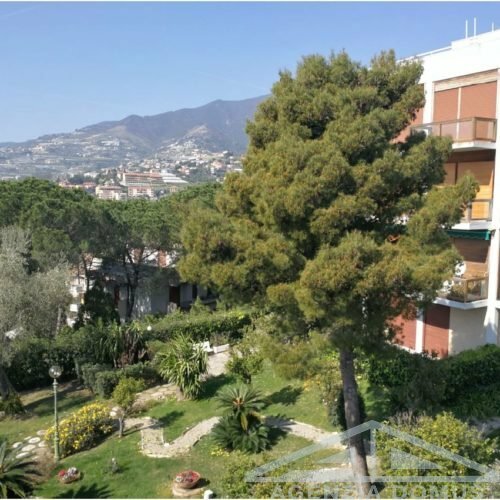 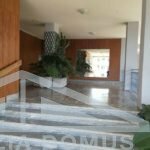 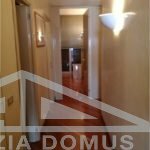 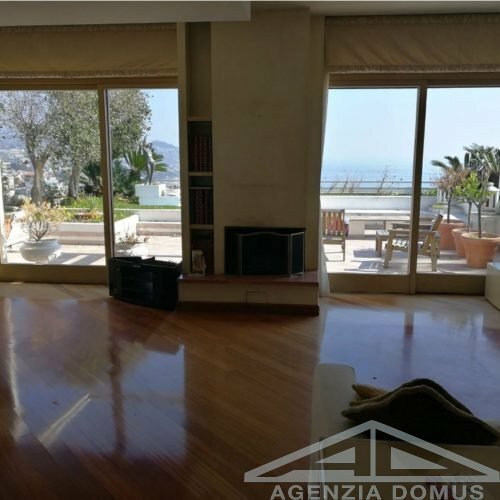 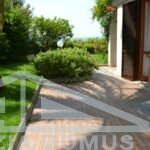 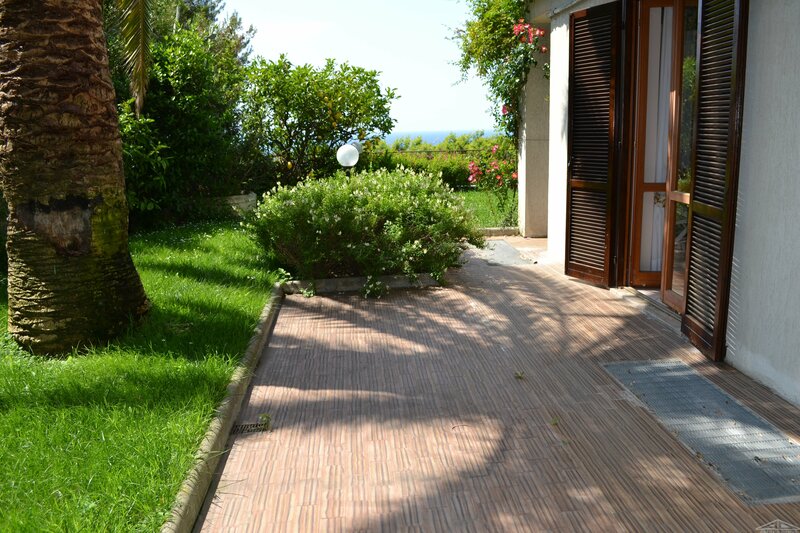 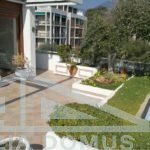 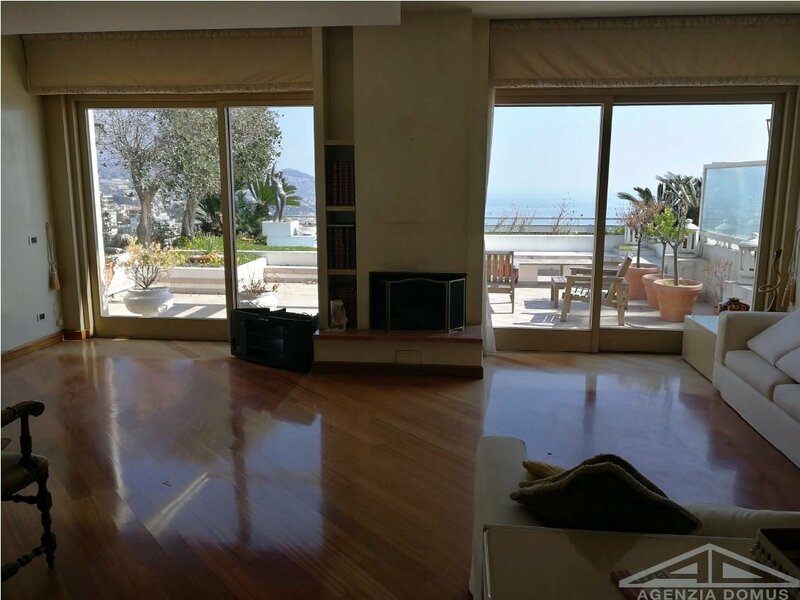 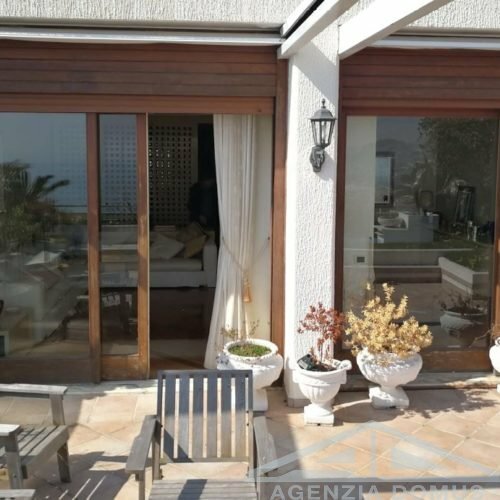 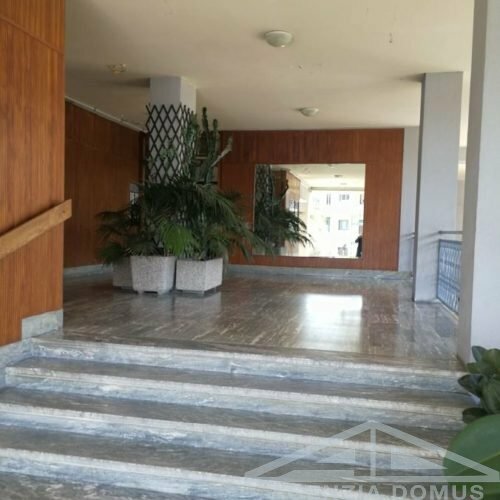 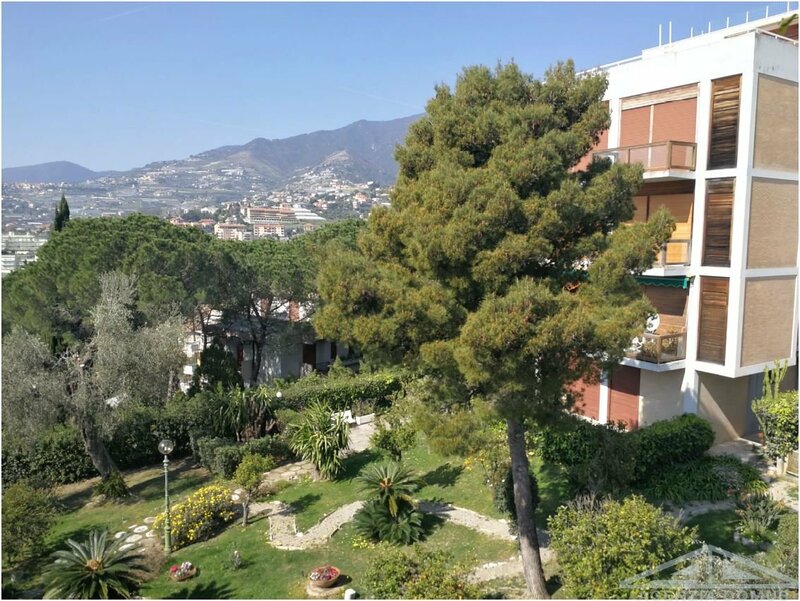 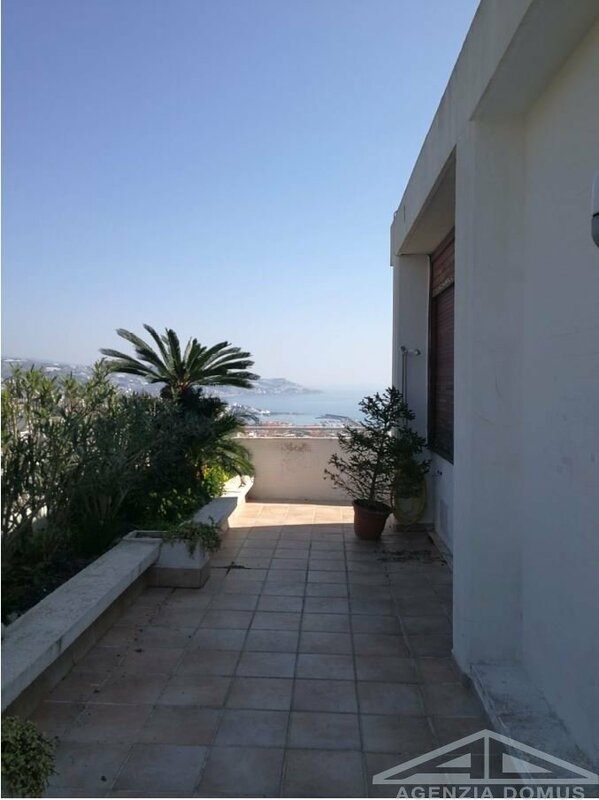 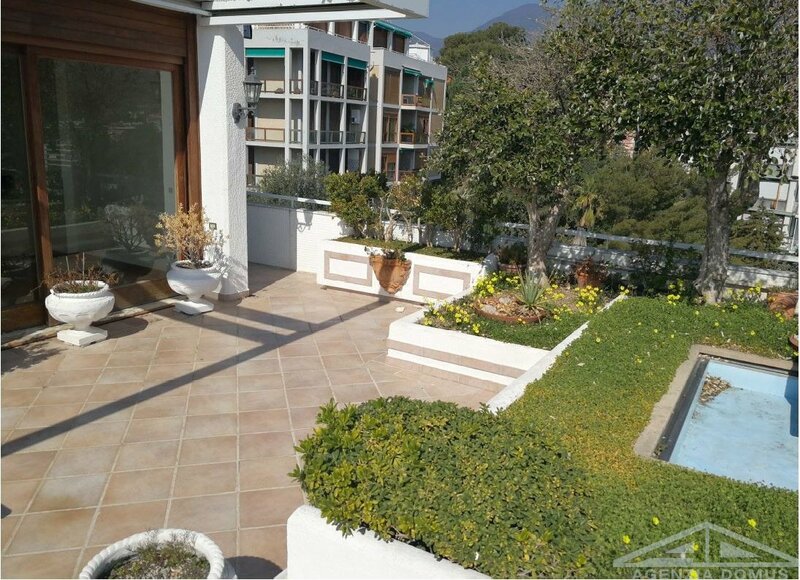 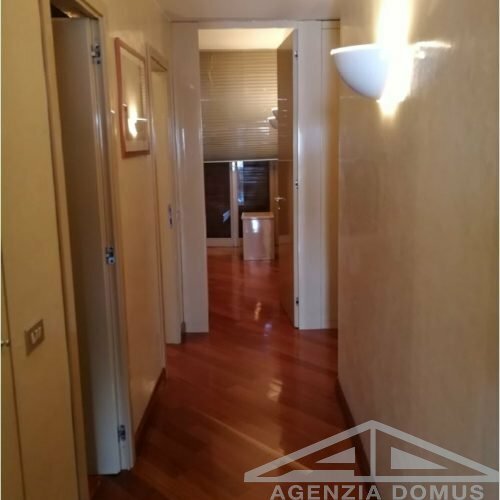 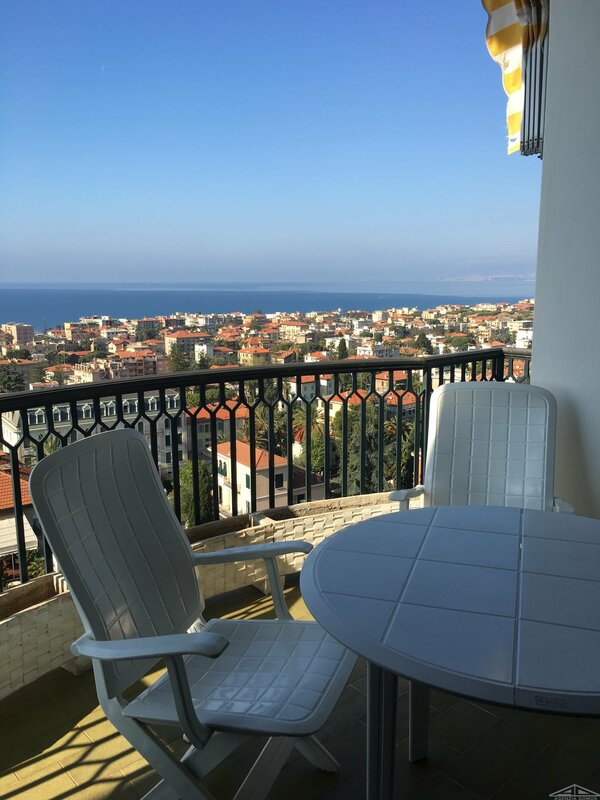 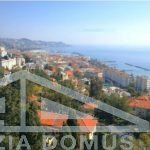 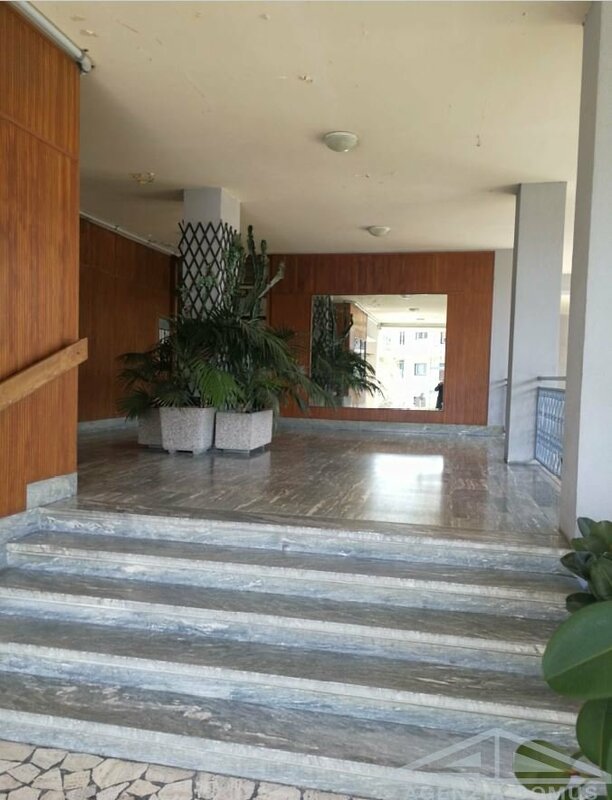 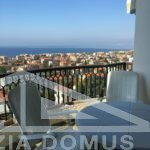 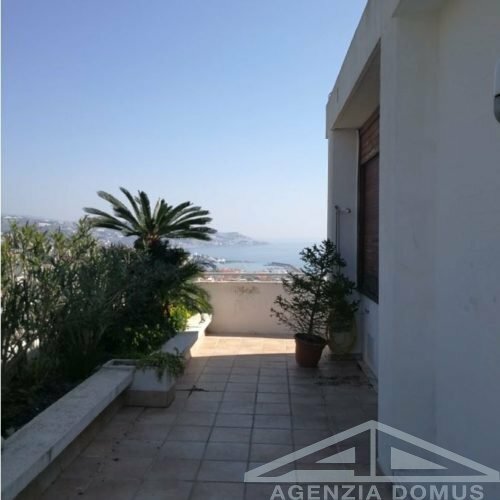 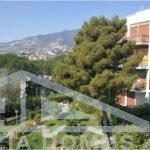 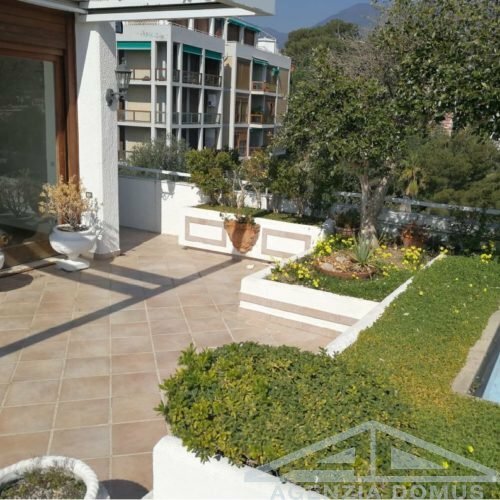 Penthouse with stunning panoramic view on the town of Sanremo and on the bay, on the hill but with convenient stairways leading the market area. 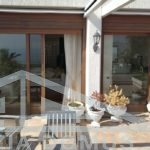 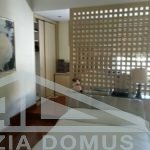 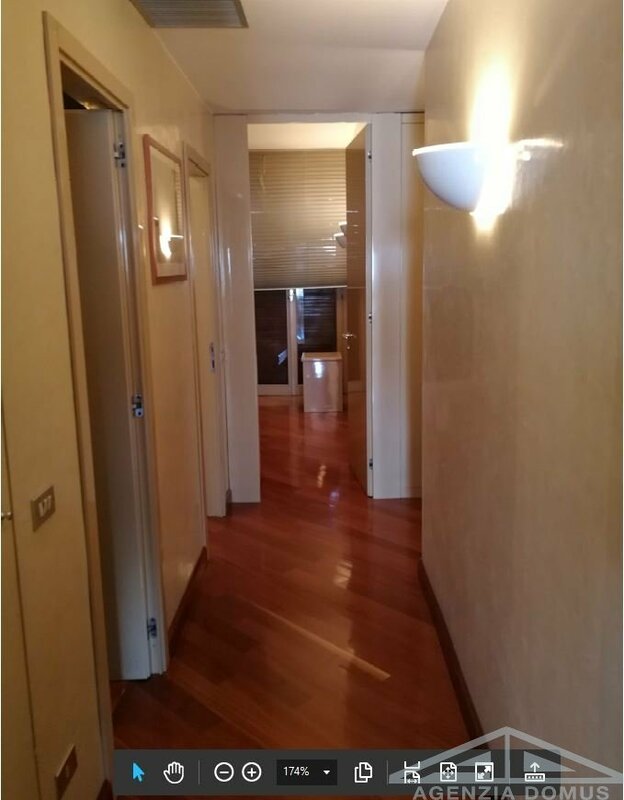 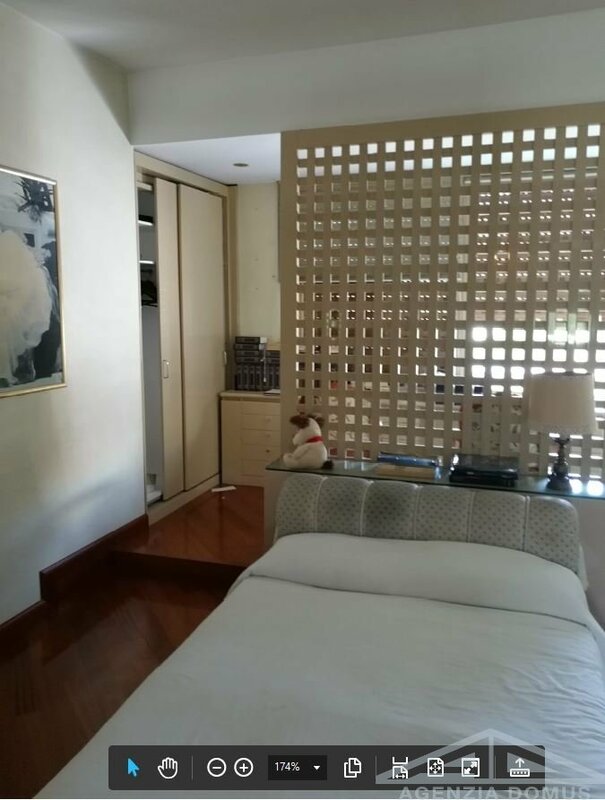 In a compound of buildings surrounded by gardens, the apartment offers: entrance, wide living room, kitchen, two bathrooms, corridor to the night area, three bedrooms, large terraces on the East and North, both with hanging garden, and West facing balcony. 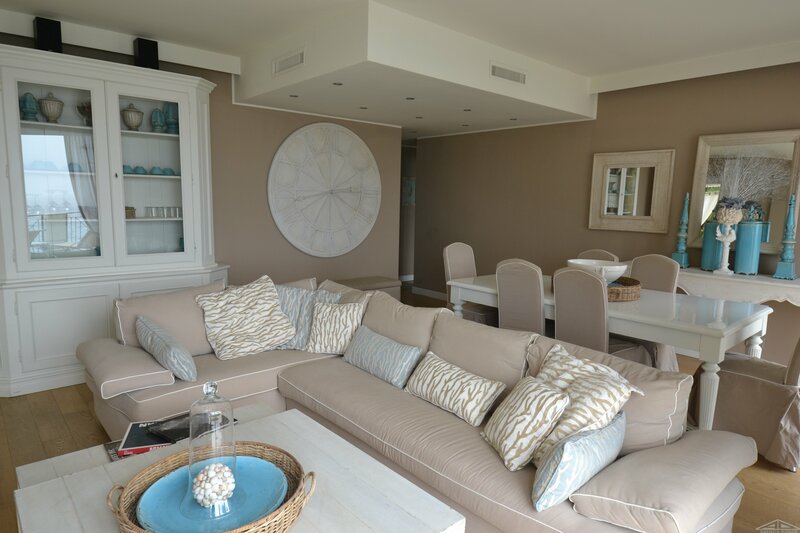 Luxury finishes and building quality, high ceilings. 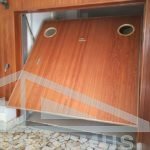 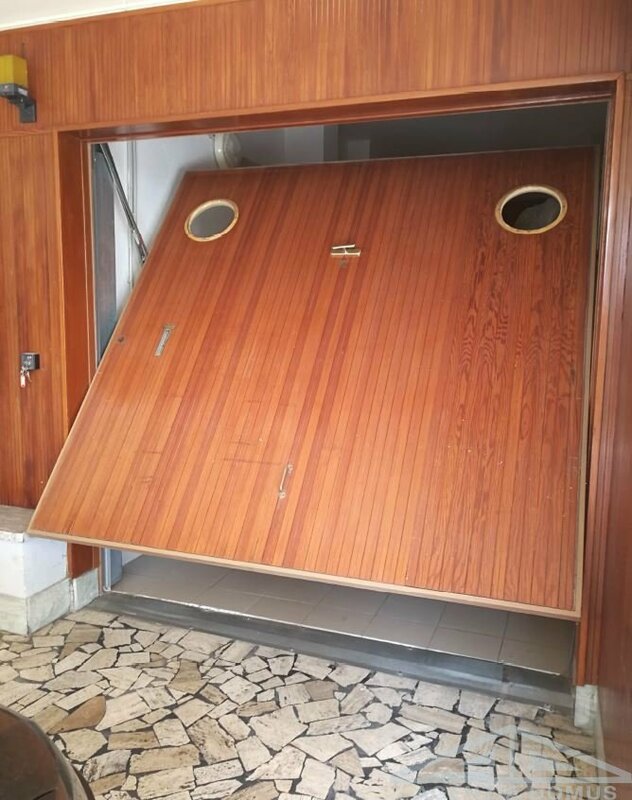 Independent heating and lift. 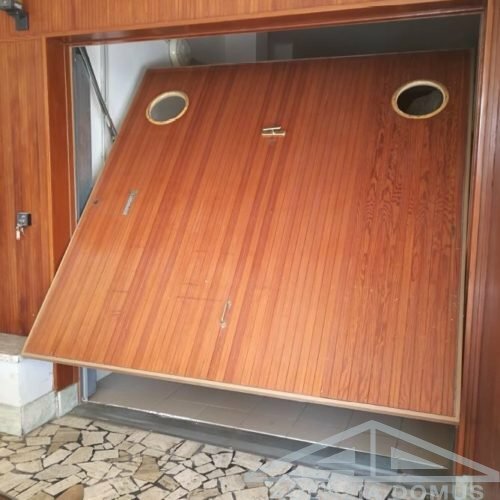 A garage and a cellar complete the property.